Transform your closet instantly with WONDER HANGER®, patented plastic and chrome-finished hangers and triple your closet space while keeping clothes organized and wrinkle-free. 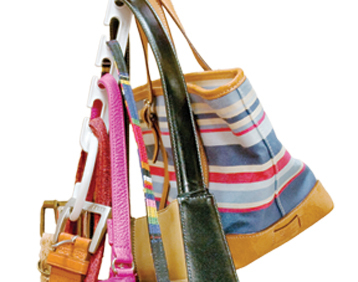 This affordable closet essential comes in a package of eight durable plastic construction hangers with open slot design to keep and take out five pieces of garments, purses and or belts easily. 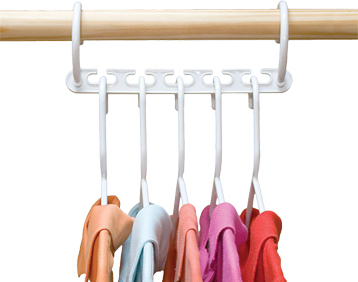 One hanger holds five garments horizontally, drop one end down for vertical placement to increase storage instantly. 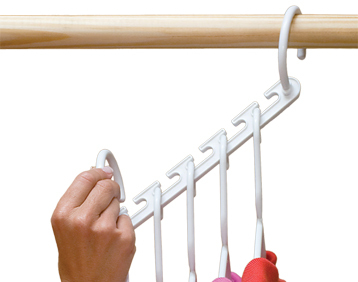 WONDER HANGER is great for seasonal storage, ideal for apartments and dorms with limited closet space. 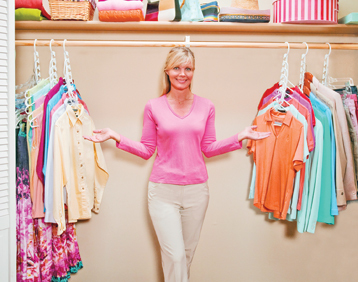 It saves money by eliminating the need to buy elaborate and expensive closet systems. Swivel WONDER HANGER®, the ultimate hanger in motion - 360° of accessibility in the closet. Over the Door WONDER HANGER®, a patented and revolutionary space saving device designed to fit residential or commercial doors. "Bought a set of these to see if they would clear some closet clutter. Decided steel would be a better route than the plastic ones I had seen. Just used them to hang some sweaters that were taking up a full dresser drawer. They worked great! Noticed another reviewer said they did not really clear any space but unless you're hanging snowsuits or some other very bulky item, I don't see how they couldn't work. The clothes cascade down and there really isn't much bulk at all. I'm going to purchase some more now and hang the rest of my clothes with them." "I love this product. 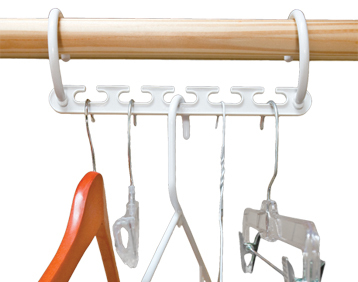 It is very sturdy, easy to hang clothes on and is a definite space saver. I would definitely recommend this product." "Great product, I ordered 3 sets to help clear up the clutter in my closet. They worked so well, I immediately ordered 3 more sets. There's only one thing to possibly be concerned about when ordering this item, and that's to make sure you have enough ground clearance in your closet. I highly recommend this for anyone that wants a better organized closet, and who doesn't want that?"